Before The Midnight Snack, there was Deep Fried, Live! with Tako the Octopus. Here's a quick taste. To see more episodes, visit the Tako the Octopus YouTube Channel. © 2010-2013 Rob DeBorde. All rights reserved. 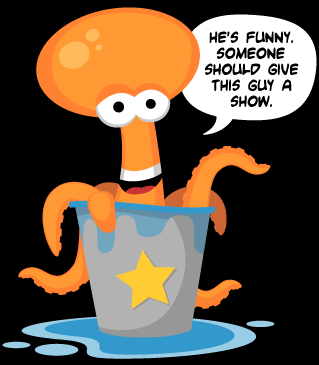 TAKO THE OCTOPUS is a registered trademark of 8Legged Entertainment.